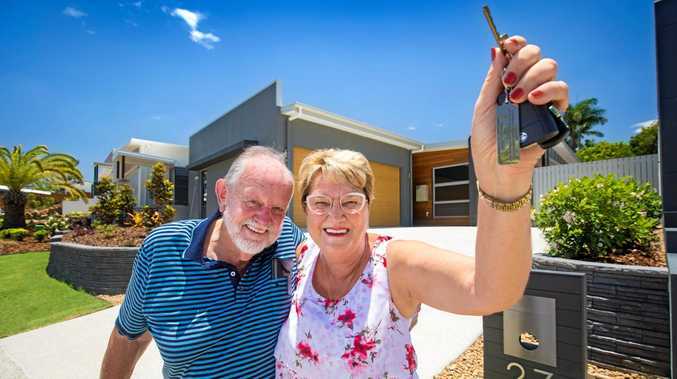 Tom and Carol Blacklaw_with the keys to their home in Sage Landing Stage One at Buderim. DEVELOPER of the popular Sage Landing development in Buderim, HMR Projects is celebrating the completion of the sold-out Stage One with the final owners taking possession of their luxury home in time for Christmas. Ray White Buderim real estate agent Lew Pottinger said it he was thrilled to see the successful project come to fruition and had no doubt that all the Stage One buyers enjoyed a relaxed Christmas in the new close-knit community. "We knew this project would be popular with locals and they have certainly embraced Sage Landing with the majority of buyers being Buderim locals looking to downsize to a more manageable home, without compromising on comfort and luxury,” Mr Pottinger said. Sage Landing new owners Tom and Carol Blacklaw said it was a bonus to be able to move into their new home, just in time for the family to join them for Christmas. "One of the reasons we loved Sage Landing was that we could downsize without the compromise and our home is still big enough for our family to come and stay for holidays,” Ms Blacklaw said. 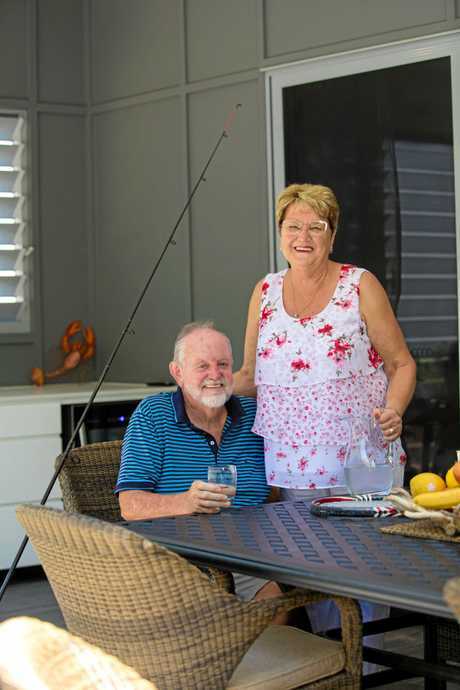 "We just love Buderim and we love that we can walk to the village from our new home. With Stage One of Sage Landing now complete, HMR Projects will turn its attention to The Final Release at Sage Landing with construction of this last stage commencing in February 2019. HMR Projects director Ken Reed said he was sure The Final Release would tick all the boxes for buyers who love what Buderim has to offer and are looking for a new level of sophistication, while still enjoying a low-maintenance home they can lock-up-and-leave. "The Final Release maintains all the character and quality associated with Sage Landing to date, and includes five thoughtfully designed homes in an exclusive, private community,” Mr Reed said. "The Final Release offers owners the opportunity to future-proof their lifestyle with luxurious homes that provide a low maintenance lifestyle with a high quality build and smarter design,” Mr Reed said. Homes in Final Release at Sage Landing all have three bedrooms, two bathrooms, ducted air conditioning, double lock-up garages, nbn connectivity and spacious, north-facing entertainment areas. The development is another excellent example of the boutique, luxury developments with which HMR Projects has become synonymous. 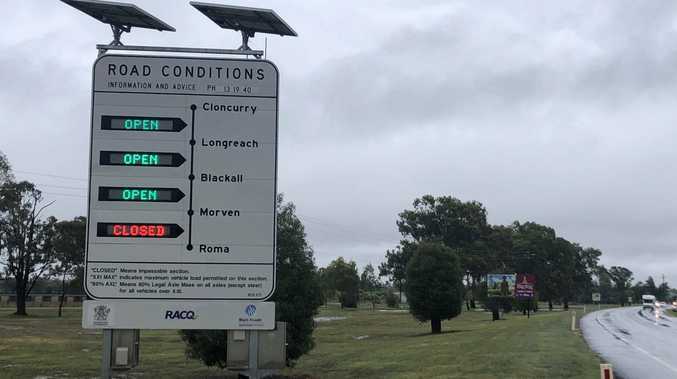 The company is owned and managed by the Reed family whose reputation for building quality developments started in the 1980's and resulted in a significant contribution to the Sunshine Coast skyline over the past 30 years, including but not limited to developments such as Platinum, Aurora, Riva and m1 Apartments in Maroochydore, Chancellor Village and Flame Tree Pocket in Sippy Downs. HMR's recent boutique developments include Elevate, Aspects and Cottman Place in Buderim, Midpoint Apartments in Morningside and Latitude Coolum Beach which launched last month. Location: Secluded cul-de-sac, just five minutes' walk from the vibrant Buderim Village high street. Description: A stylish, spacious and sophisticated product with low maintenance, beautiful landscaping. The Final Release at Sage Landing features five three-bedroom, two-bathroom homes across two levels.